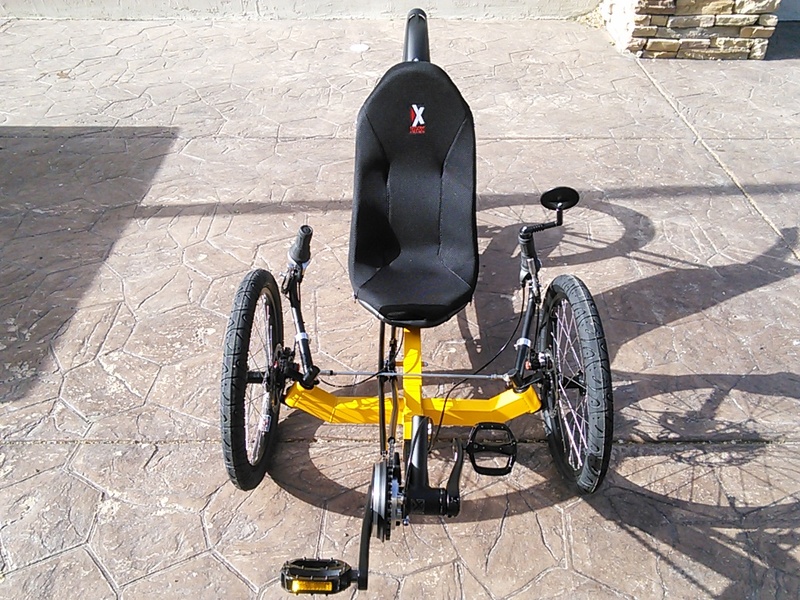 The KMX 20/20 is a great custom recumbent tricycle for adults as well as larger children. 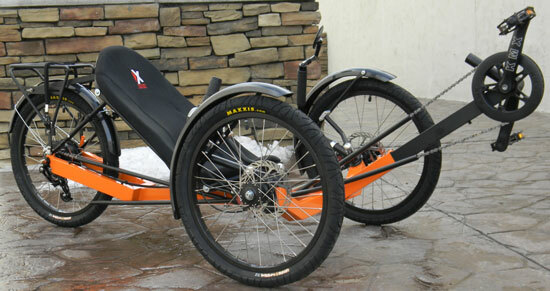 The 20/20 features a rugged frame and can handle abuse. 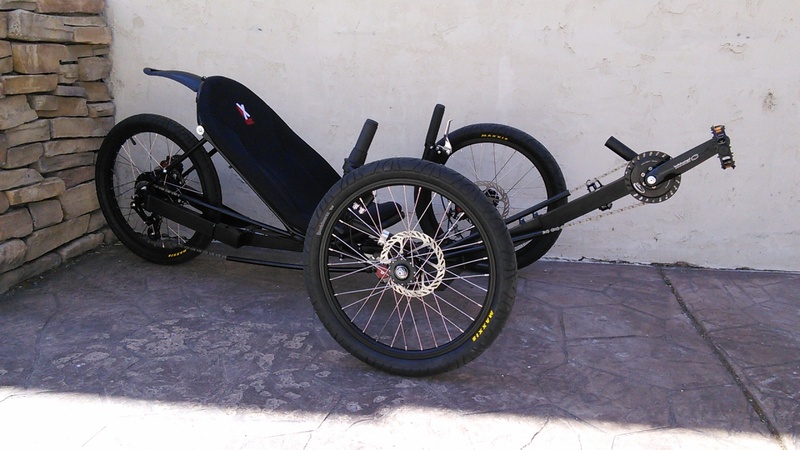 Makes a great electric trike with lots of gearing options. 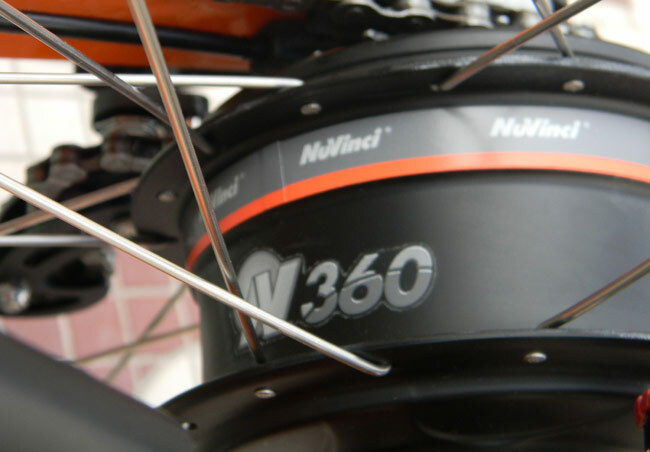 The stock gearing pairs the custom KMX 42T bash-guarded crankset with the Nuvinci N360 CVP transmission. With a gear range of 22-79 Gear Inches that's perfect for everyday cruising. Need more gears? No problemo, we also offer the Patterson Drive and Schlumpf High Speed Drive for wider gear ranges. The Patterson Drive will give you a gear range of 15-84GI, while the Schlumpf HSD will give you 14-126GI. Krazy Kolors on the KMXs! We couldn't resist. Just seeing all these beatiful colors makes you feel like you are in a candy shop. The KMX 20/20 is available in any of our custom colors. 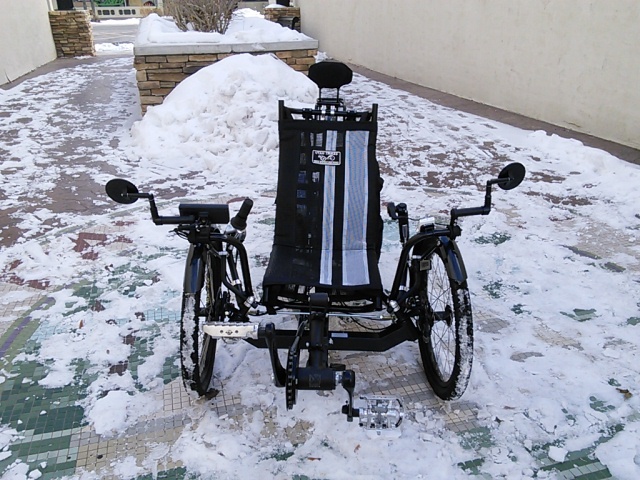 Visit the Utah Trikes Color Shop for pictures of all the colors we offer. 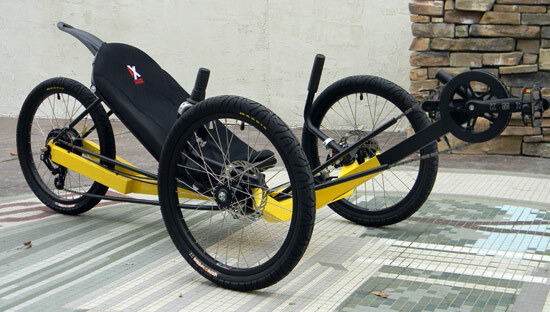 As innovation continues to drive the recumbent world, electric assist recumbents are in higher demand than ever before. Falco E-Motors is one of the most popular and reliable hub-motor systems on the market today and their patented 5-phase technology is a powerful option for KMX Karts. Choose between the 500W motor and 36V battery, or the 750W motor and 48V battery. 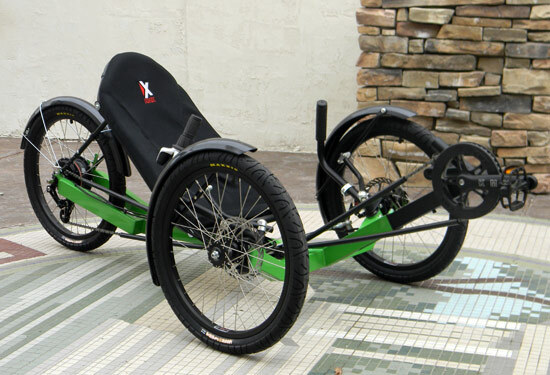 The Ecospeed motor transforms your recumbent trike into an ultra-efficient electric vehicle. 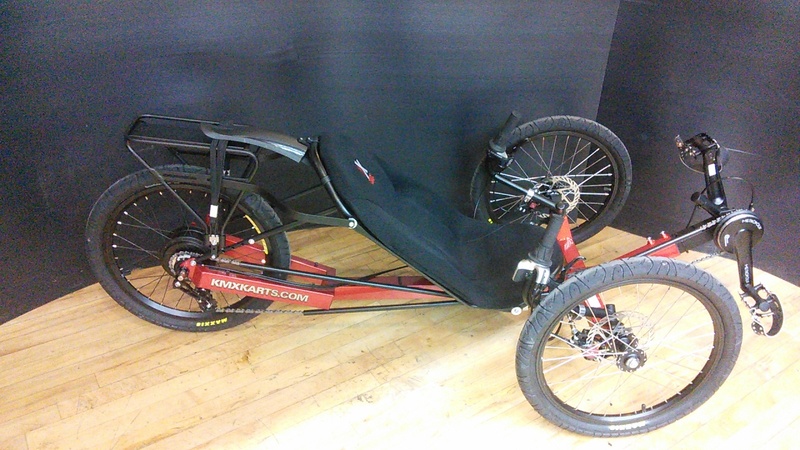 Top speed is 20 mph without pedaling and over 30 mph with. The basic battery pack will give you 40-60 miles of range and you can add more batteries if you want to go farther. 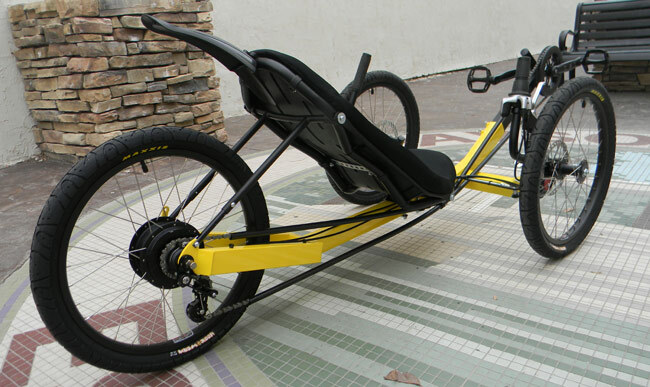 The chain-drive system allows the motor to use the gears, a huge advantage over hub-drive motors.